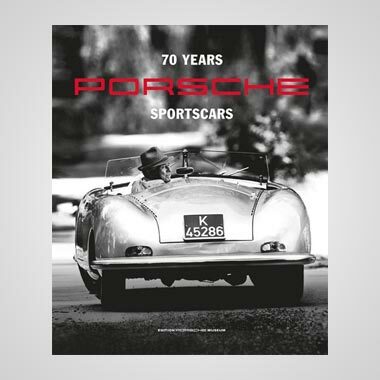 Porsche’s success in the world markets, and particularly in Britain, throughout the recession remains a phenomenon. 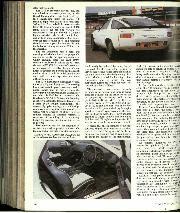 A brief cutback in production in 1982 was the result of lower demand in the States as the 928 model temporarily lost ground in the performance market and the 924 model yielded to the 944, but in the UK it was business as usual with higher registration figures being recorded year after year. Rival manufacturers looked for a downturn as the £22,000, 4.7-litre, 300 bhp 928S, which has now climbed over the £30,000 mark, yet UK sales remain solid at 300 units a year and in Stuttgart just over 5,000 8-cylinder models are made each year at the Zuffenhausen plant. 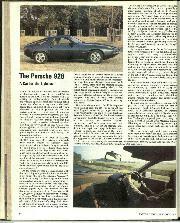 The 928 started life as “Car of the Year 1978” and was considered by Prof Dr Ernst Fuhrmann, then chairman of the company, as the eventual replacement of the 911. A less expensive version was introduced in Germany while the 928S was launched in 1979 to capture a higher performance image, but all the while Dr Ferry Porsche clung to the belief that the 911 captured the spirit of the company, appointing Peter W. Schutz as chairman in 1981. 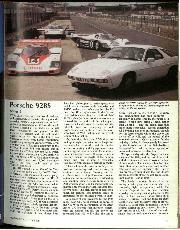 From then on the 911’s future was safe, and the 928S was developed as a model with an entirely separate identity. 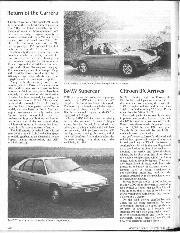 With hindsight, maybe the 928S should have been designed as a full four-seater right from the beginning. 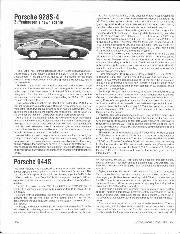 It has always been Porsche’s philosophy to make sports cars which don’t compete with Mercedes and BMW products and, of course, had the 928 been the 911’s replacement it should not have had four seats. But the overall width of 72.28 inches (without exterior mirrors) was dictated by the width of the V8 engine, leaving chief stylist Anatole Lapine with the difficult task of designing a well proportioned car with a relatively short wheelbase of 98.4 inches, and an overall length of 176 inches. Aesthetically, then, the 928S does not look quite right, too wide for its length (or too short for its width), and the limited amount of seating and luggage space must limit its appeal to some extent. 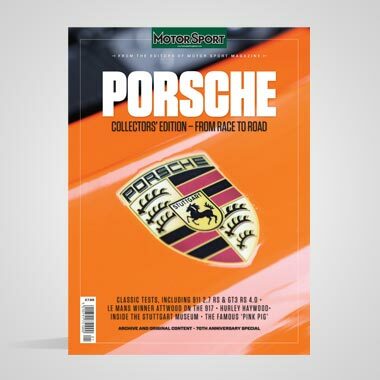 We wonder if Porsche’s management will grasp the nettle one day, extend the length of the flagship model and turn it into a reasonable four-seater with adequate luggage capacity? That’s a hurdle the prospective buyer has to cross. 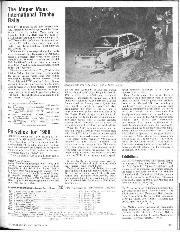 But having made that decision, the customer has a Grand Touring car par excellence with vivid performance, even in automatic form, outstanding roadholding and handling, superb brakes (now with the ABS system, at last), and a comfortable ride marred only by a higher-than-expected level of tyre noise. The high degree of comfort is taken for granted, and retained value, so important for the business-person, is high. A package of improvements for the 1984 model year 928S has increased the appeal of the V8. With the introduction of the latest Bosch LH Jetronic fuel injection system, with an overrun cut-off, the power had increased from 300 to 310 bhp, the torque figure from 280 to 295 lb ft at 4,100 rpm, fuel consumption has been improved – especially at higher speeds, the figure at a steady 75 mph now being 27 mpg, rather than 22 mpg – and the model feels that much more responsive. Second generation ABS braking has been introduced, though not the latest system which the driver can switch off at will, and the appeal of the automatic version, which accounts for the majority of sales, has been greatly increased by the introduction of the Daimler-Benz four-speed box, with a better spread of ratios and enhanced acceleration. We spent a day with the 5-speed manual version of the 928S, and the rest of the week with the automatic version to savour the best of both worlds. The manual’s box had just been rebuilt after some abuse from another road-tester and felt unusually stiff, but if this proved anything it was that the 30 cwt car can accelerate almost as well from rest in third gear as it can from first! The clutch is unusual, for a road car, in having a twin plate mechanism which is reasonably light in operation, while the Porsche 5-speed box is also unusual nowadays in having first dog-legged to the left, the four working ratios being in a normal H-pattern. First and third are close together and, with the heavy shift, it proved possible to select third by mistake a couple of times during the day. It took this without any protest at all, with none of the acrid smells that the early models used to exude after maltreatment. The 928S is probably just too big, and too refined to be a true sports car, but the Grand Touring description fits it perfectly. In a straight-line thrash the manual will reach 60 mph from rest in six seconds flat, 100 mph in 15 seconds (little slower than the latest 911 Carrera), and a top speed of 160 mph. Before the 310 bhp version was announced it was put through a 24-hour high speed trial at the Nardo track in Italy, and with no more modification than taping over the brake cooling ducts, and removing the windscreen wipers, it averaged 156 mph for 24 hours running at close to 170 mph on the straights. 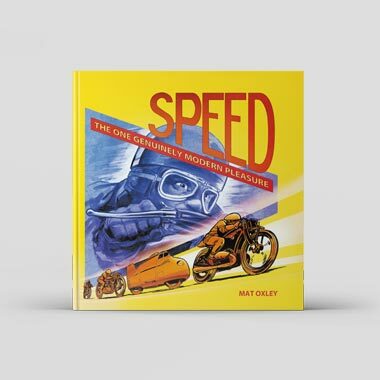 The car accelerates with a hard, but muted growl which is just about purposeful enough to satisfy the sporting customers. Oddly enough, since the rival BMW company specialises in saloon and GT cars, the new M635 CSi feels more of a sports car as we reported recently, though it’s not likely to threaten the Porsche on the British market since it will have left-hand drive only, will be more expensive and more difficult to obtain. The 928’s handling is unbelievably good for such a big and heavy car. The steering has speed variable power assistance and is never feather-light, in fact at times the driver may not be sure if he has assistance or not, which is ideal by our reckoning. On Goodyear’s 225/50 NCT tyres the handling is entirely neutral (the transaxle layout gives a near 50:50 weight distribution), the amount of grip is amazing, and the V8 whips round corners far quicker than most drivers would wish to attempt. Its ability to effect sudden changes of direction without a suspicion of instability, in a motorway hazard for instance, puts the car into a class of its own. Road noise on any but the smoothest of surfaces is a distinct penalty, however. On the nice asphalt German roads the occupants would rarely be bothered by noise, but on less good British byways the intrusion is very noticeable and rather tiring for much of the time; inevitable, the designers say, in a model which is tuned for handling before compliance, and in which the rear suspension turrets are within the cabin, not isolated by a boot bulkhead. The automatic version is now very nearly as quick as the manual, and since it makes even less demands on the driver we can see its popularity increasing still more, particularly in Britain where it’s offered at the same price. In Drive, the 928S will shift up to 40, 63 and 110 mph, but by holding second and third gears and taking the engine speed to its 6,500 rpm maximum the shift into third can be delayed to 77 mph and into fourth to 121 mph, with 60 mph coming up in 6.5 sec and 100 mph in an impressive 16.3 sec, the top speed being a claimed 155 mph. It seems that the smoothness of the shift can vary slightly from one car to another, the car we tested being one of the better ones, maybe, since we had no complaint at all about the quality of the transmission. Both the manual and automatic versions should be able to return an honest 20 mpg most of the time – very hard driving, or heavy traffic conditions bringing this figure down, of course – so the 18.9 gallon fuel tank should permit a reasonable 350-mile touring range. In fine conditions there is little to say about the ABS braking system. Sometimes the first application of the brake pedal brings a slightly thump, just to remind the driver that the system is still working, but that’s about it. The brakes are exceedingly powerful, as they always have been on the ‘S’ model, and completely fade-free. In Series 2 form (though the description is used only in Britain, the figure 2 having been added to the rear inscription just for our benefit) there are a number of detailed improvements. The tailgate, for instance, now has an electrically operated release with two interior controls, one for the driver and one for the passenger, so you don’t have to switch the engine off and go back with the key these days. The electrically operated widows can be opened and shut even with the ignition key is out, but only if the doors are open at the time. As standard equipment the 928S has part-leather upholstery (on the sides of the seats, which are cloth trimmed), air conditioning, electrically operated seats and an instrument panel that goes up and down with the steering wheel. The central locking system now has an override control on the centre console, so if anyone wishes to discuss your bourgeois taste in motor cars you can deal with the situation promptly, and such niceties as the illuminated vanity mirrors on both sides are retained. At £30,678 such performance and luxury does not come on the cheap, but people who buy such cars (usually with a company transaction) are looking not so much for value-for-money as an expression of their life-style. 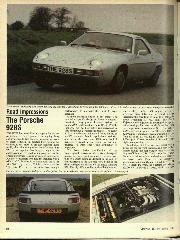 So long as they don’t need a full four-seater (or can afford another car) the 928S is a natural first choice for many.